Dr. Keith Kantor explains the symptoms and causes of food poisoning - and natural remedies to overcome it. Food poisoning is a common problem that most people have experienced at least one time in their life. Food poisoning is a result of contaminated food, it could be from a bacteria that was in the environment or on the hands of where it was prepared or it could also be a result of consuming food that was not of optimal temperature range or past their expiration date. Symptoms of food poisoning include upset stomach, nausea, vomiting, diarrhea, fever, shaking, dehydration, it can be very dangerous if it progresses and goes untreated in severe cases. It is important to know that in most instances food poisoning will typically go away on its own without professional medical attention if the body is remaining hydrated and still absorbing adequate nutrients. There are several natural food or beverage options that help reduce the symptoms of food poisoning while nourishing the body from the common nutrient depletions associated with food poisoning. Coconut milk has become a very popular health food because it is a healthy non-dairy alternative packed with essential fats and nutrients. The natural salts that coconut milk contains make it rich in electrolytes helping prevent dehydration in those who are suffering from food poisoning symptoms, or any illness or infection that could wear down the immune system. Pineapple or pineapple juice contains very high amounts of vitamin A and vitamin C making it a nutrition powerhouse of a juice. In addition to its potent vitamin profile, pineapple juice also contains bromelain, an enzyme found in the stems and fruit of pineapple plant which helps boost the immune system and more importantly aids in digestion. 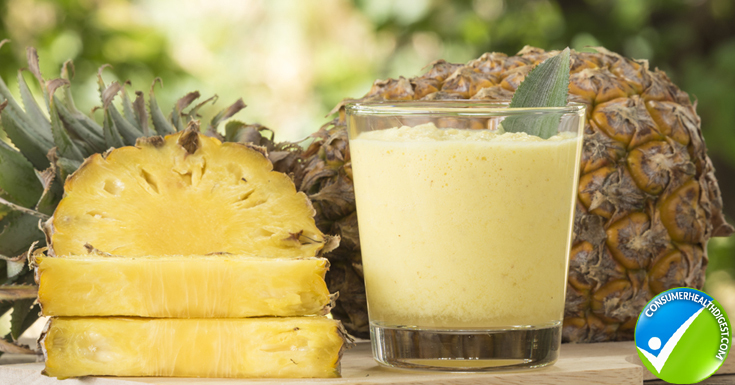 Pineapple helps break down the compounds in the stomach helping reduce food poisoning symptoms. Turmeric, a yellow spice that is often referred to as curry and now widely consumed for its anti-inflammatory benefits in supplement form can also be used to settle the stomach. Adding turmeric to warm milk can help extract the natural oils which reduce nausea while naturally settling the stomach. In addition to settling the stomach turmeric will also boost the immune system helping people recover from food poisoning faster. Ginger is also a spice that has been used for years to settle the stomach. Pregnant women use ginger for morning sickness and those that are suffering from food poisoning should also treat their upset stomach with ginger. Fresh ginger is the most potent option but powdered ginger will also work. Juice companies add both turmeric and ginger to juice blends because they pair so nicely together. Potatoes both regular and sweet potatoes are packed full of nutrients including potassium that will keep you feeling full and help keep your nutrition levels up, they also settle the stomach. Consuming a plain potato without anything on it can be manageable to those who do not feel like eating anything due to their terrible stomach ache from food poisoning. 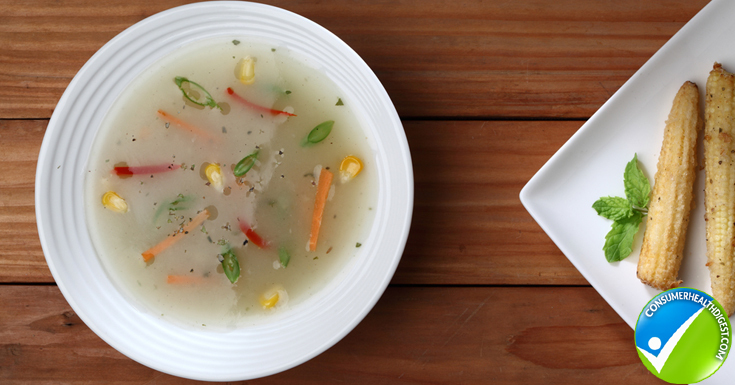 Soup is also packed full of nutrients from the broth it contains. The broth is rich in iron, potassium, and protein which is a great way to nourish the body during food poisoning and if nausea and vomiting are concerns the broth is plain enough to stomach and hopefully keep down. The collagen that bone broth naturally contains helps repair the inner lining of the gut while improving overall digestion and nutrient absorption, this is especially important for someone who has a severe food poisoning case. In most cases, food poisoning just has to simply run its course and only time will truly heal your aches and pains. Take into consideration that the above options will simply speed along your recovery and provide you with great nutrients if nothing else. Food poisoning is typically a fluke and out of your control but if you seem to get it often you may need to make some lifestyle changes. Make sure that you are checking the expiration dates of the items in your fridge. Opened jars of spaghetti sauce are only safe to use 3 -4 days after opening the jar. In fact, most leftovers are only safe to consume 3 days after preparation. Review your food preparation techniques, have a separate cutting board for fresh fruits and vegetables and then one for raw meats to avoid any cross-contamination. Wash your hands and countertops with soaps and solutions that kill bacteria. Be mindful of temperatures, keep food below 40 degrees F or above 140 degrees F. When food is in-between these 2 temperatures the food is at risk for developing bacteria. Foods that are out at room temperature for parties or potlucks should not be out for more than 3 hours. It may be hard to avoid food poisoning but you can avoid restaurants with low grades, this is typically a result of the restaurant staff having points deducted from their score due to cross contamination making your risk for food poisoning higher. Practice the food safety tips listed above and if you still have an encounter with food poisoning nourish your body with the items listed above and remain hydrated while settling the stomach. Using pure alkaline Hydroxide water will help with any inflammation and dehydration while helping clear the detoxification pathways.